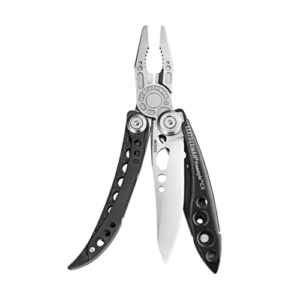 Designed specifically for a younger user, this multi-tool can be used without the knife. When your young one is ready, the knife can be permanently added to the tool. 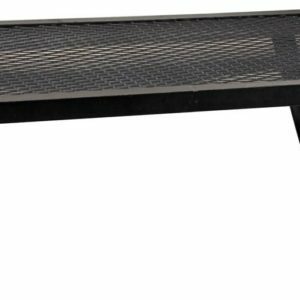 Our engineers designed the Leap with safety as our #1 priority. 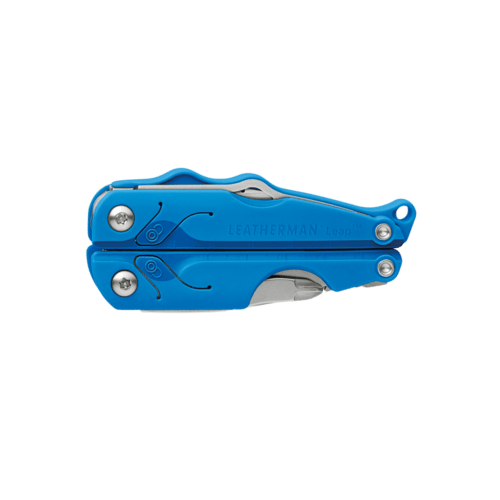 That’s why the Leap includes safety locks that keep fingers from the path of the tools, a two-hand opening knife blade for safer deployment, and a secure grip designed to train users to properly and safely operate tools. 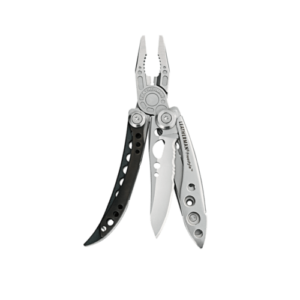 The Leap also comes with a user-installed knife blade that can be added by a parent when the user is ready for more responsibility. 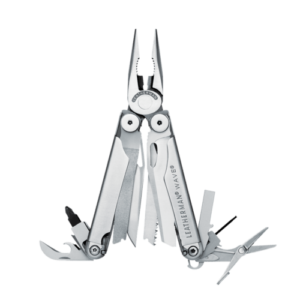 Here at Leatherman, we celebrate the mentors who took the time to pass on a valuable skill or life lesson. Together, we’re helping adults pass on their tool skills and build a meaningful heritage with the next generation. 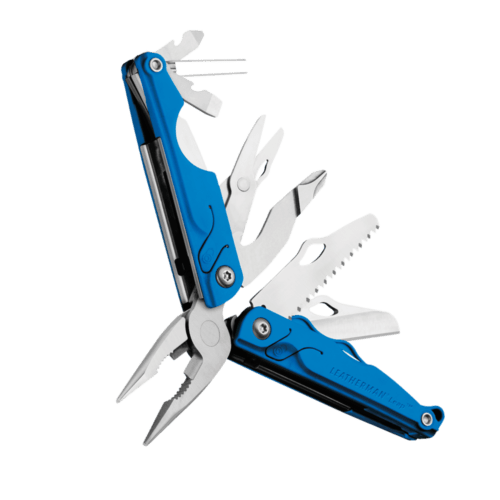 The Leatherman Leap Kids’ Multi-tool boasts 12 tools housed in glass-filled nylon handles with ergonomic grips. 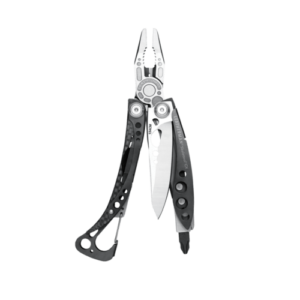 Designed specifically for a younger user, this multi-tool can be used without the knife. When your young one is ready, the knife can be permanently added to the tool. Safety locks keep fingers out of the path of tools. 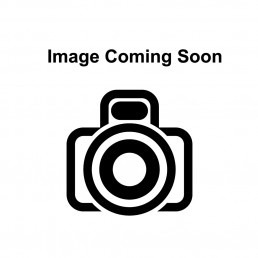 Includes needle-nose pliers, regular pliers, wire cutters, 420HC knife, saw, spring-action scissors, ruler, tweezers, bottle opener, Phillips screwdriver, medium screwdriver and small screwdriver. 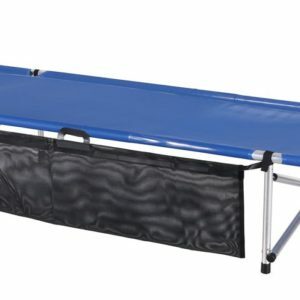 Even though this is the perfect item for younger campers/hikers, I’m using it for myself. 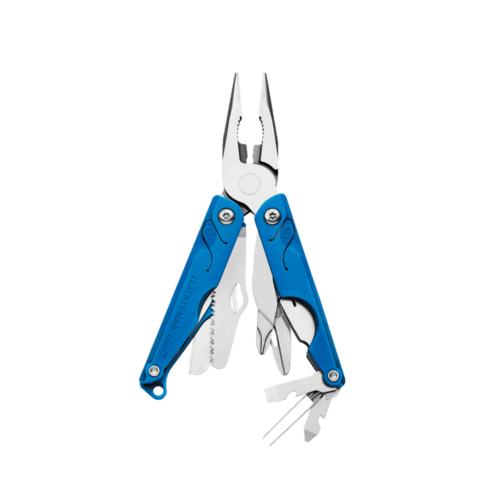 It’s perfect for my tool needs when outdoors, but also just the right size to tuck in my purse or pocket for any emergencies that come up. 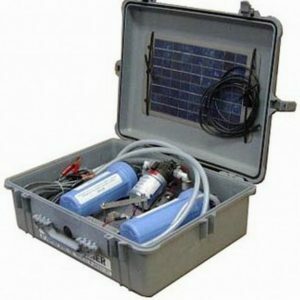 All of the components are strong enough to handle any unexpected jobs, but the total device when closed is still light enough to not get in the way.